Home / Columns / Could The Rock Return To WWE? Heel Turn: Could The Rock Return To WWE? Wrestling commentators have been spreading rumors that The Rock could reappear in a WWE ring in order to give the WWE a ratings pop. WWE is currently experiencing a ratings slump, in which ratings have continuously declined over the course of the past year. The Wrestling Observer newsletter says that RAW has lost nearly 11% of its viewers in the past year, with WWE losing viewers in each of the previous two years as well. Is professional wrestling losing its appeal with fans? In order to bring fans back into the WWE Universe, creative control may look to bring back wrestlers that fans of the Attitude Era beloved such as The Rock. The Rock would be the obvious choice to bring back into the WWE ring. He’s in great shape, and he currently has a hit show on HBO called Ballers. 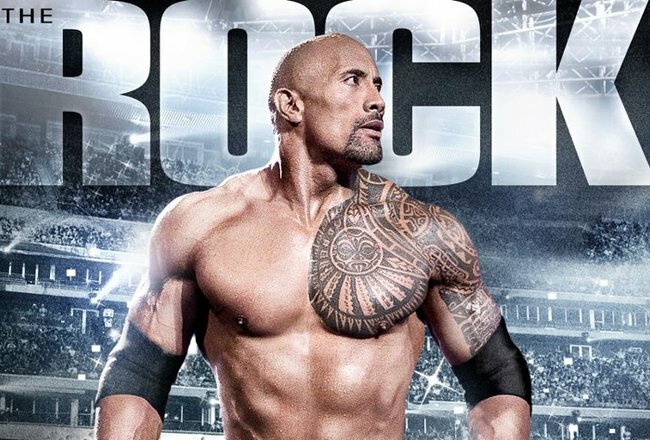 The Rock could easily use the WWE to promote his hit show. As evidenced by The Rock’s last appearance in the WWE, the Rock has proven that he has what it takes to get back into the WWE ring and compete with the best in the business. Who Would the Rock Battle in the WWE? If the Rock were to come back to the WWE, he’d most likely battle against a young superstar that is looking to make a name for themselves. It is unclear if the Rock would want to enter the ring again. The Rock could come back for promotional purposes. He could also wrestle a competitor like Brock Lesnar in order create buzz. The Rock could also rekindle his rivalry with the Undertaker or he could face off against a budding superstar like Seth Rollins. Some analysts speculate that the Rock will return in the ring for WrestleMania 32 to face off against Triple H. Others speculate that the WWE could pick up the Rhonda Rousey vs. Stephanie McMahon rivalry, in efforts to bring MMA fans over to the WWE. The Rock could participate in a rivalry that pits The Rock and Rousey versus HHH and Stephanie McMahon. PWInsider is reporting that Vince McMahon is deeply troubled over the recent slump in ratings and those in the know say that Vince has taken a more hands on approach to managing the creative direction of the show. This may come as a breath of fresh air to come wrestling fans, as the ratings decline vividly shows some fans dissatisfaction with the direction of the show. Bringing The Rock back will certainly help give the WWE a boost in the ratings department. The biggest questions still loom for the WWE. When will they bring The Rock back? What will his role be? Will we see The Rock compete in the squared circle? How long will the Rock stick around in the WWE and did Vince McMahon’s recent overtake of creative control contribute to the rumors of The Rock returning to the WWE? WWE fans will wait in anticipation to see if the rumors concerning The Rock’s return to the WWE actually come to fruition. Next Story → Will Kane’s Split Personas Hurt His Character?